This Angular for Beginners section of our Angular Hub contains everything the novice Angular developer needs to upskill and learn Angular. With those basics in place, you might like to start with our introductory Angular 2 Tutorial, or learn about the different versions of Angular, or maybe learn about the differences between Angular and React. We then take you through the most important parts of Angular, such as components, directives, NgModules and TypeScript. We also guide you through how to test your Angular app, and even how to work with Angular Material Design components. And we cover a whole lot more introductory Angular concepts, such as change detection, authentication, working with forms in Angular, data binding, dependency injection â€¦ and much more. 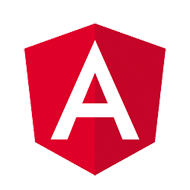 Along with articles, we offer books and video courses for learning Angular, on topics such as creating your first app, spending your first week with Angular, and digging into projects. Once youâ€™ve got the basics of Angular under your belt, check out some of our great Angular tutorials, which will take your Angular know-how to the next level, and take a look at the Angular tools and resources we cover, which make your life easier and extend what you can do with Angular.